I’ll start this by saying I’m not usually a fan of unit studies (they are usually too much work for me along with all of our other studies), but I received White House Holidays Unit Studies to review from Silverdale Press LLC and I have really enjoyed how thorough they are. These multi-grade level unit studies are very in-depth and in include all the information I needed to complete them. The White House Holidays Unit Studies includes six separate unit studies for the major holidays. When I first learned I would be getting these I thought this would just be a simple overview of how the White House celebrates each holiday (events, speeches, decorations, etc.) but these studies are so much more! Each study goes into great detail about how these holidays came to be celebrated as part of our country’s history. Every lesson includes an activity for kids to complete and lots of visuals such as photographs and art. I was particularly drawn to the Labor Day study. This is a widely celebrated holiday (who doesn’t love a day off from work?) with cookouts and such, but I knew very little about how we came to celebrate Labor Day. Naturally my kids knew very little of it, so this was an eye-opening study. As we learned about how Elenor Roosevelt shaped this American holiday, we came to understand how poor working conditions were before labor laws. The study features many photos of child labor conditions and examples of other harsh working environments. 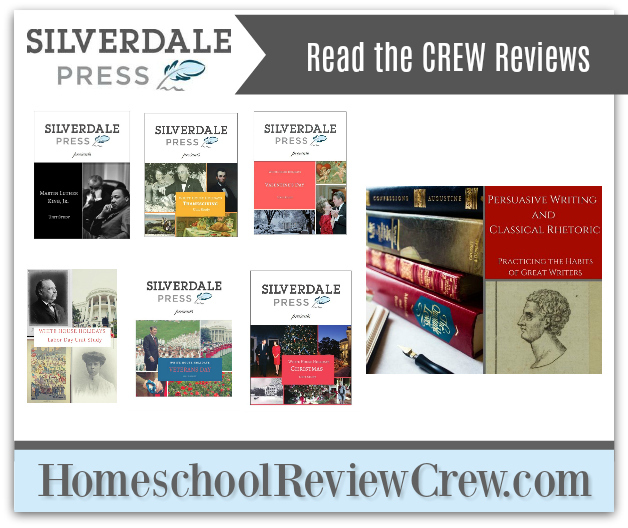 These unit studies are perfect for homeschoolers who use the Charlotte Mason approach as well as families who want to supplement with unit studies. I had to do very little prep work: gathering supplies or printing worksheets, which I loved. We really liked the full color photos included in each study. These were so helpful in giving the kids a visual of what we were talking about. The projects in each study were widely varied and included paper crafts, worksheets, making posters, listening to speeches, and watching the Presidential Turkey Pardon. My kids really enjoyed the activities we did. The only thing I didn’t like – and I’m admittedly weird in this – is these are in PDF format instead of in a printed book. Its just personal preference but I don’t like sorting through an eBook when I’m teaching or spending a small fortune printing big files on my ink guzzling printer. I prefer a physical book so I can flip back and forth easier. I get that eBooks are easier for publishers and better for the environment, its just not my preference for teaching materials. I ended up only printing the pages they needed to fill in and worked from a computer for the information in each lesson, which works okay, just not ideal for me. Don’t forget you can read more reviews of this Silverdale Press LLC product as well as their other featured product. Click the banner below for more reviews.